Stressing that technology today is creating immense opportunities to transform millions of lives, Prime Minister Narendra Modi said on Wednesday there is an explosion of fintech innovation and enterprise in India and the nation is “your best destination”. “This has turned India into a leading fintech and startup nation in the world. The future of fintech and Industry 4.0 is emerging in India. I say this to all the fintech companies and startups — India is your best destination,” Modi told the gathering at the Singapore Fintech Festival here. “Financial inclusion has become a reality for nearly 1.3 billion Indians. Technology today is helping them define competitiveness and power in the new world,” added Modi, the first head of government to deliver the keynote address at the world’s largest financial technology festival. Modi also launched APIX, or API Exchange platform which aims to drive financial inclusion across Asia Pacific, and create the right conditions for financial institutions and fintech startups to operate, innovate and collaborate. The APIX initiative was announced in September and is led by the Monetary Authority of Singapore, the ASEAN Bankers Association and the World Bank’s International Finance Corporation. Towards enhancing global financial inclusion. The Prime Minister is in Singapore for a two-day visit to attend the East Asia Summit, ASEAN-India informal meet and the Regional Comprehensive Economic Partnership (RCEP) Summit. 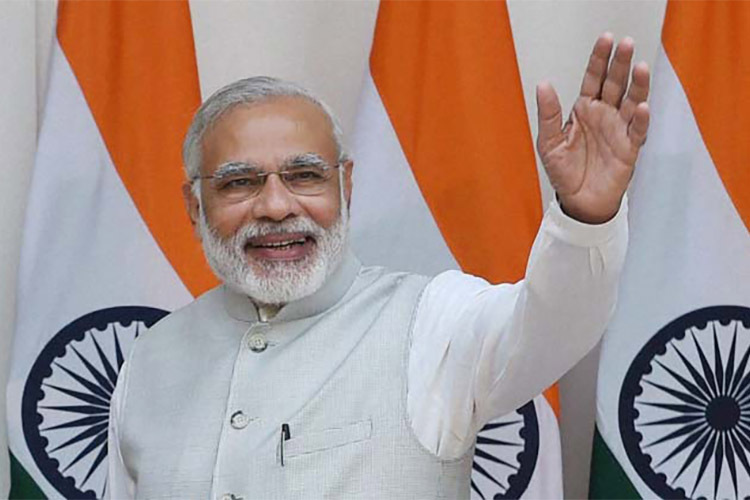 Modi said that his government came to office in 2014 with a mission of inclusive development. “Today, we have generated more than 1.2 billion biometric identities in Aadhaar in just a few years. Less than 50 per cent of Indians had bank accounts in 2014. Today, it is nearly universal,” he told the audience. “We are in an age of a historic transition brought about by technology,” the Prime Minister added. Modi was set to present awards to winners of the first “India-Singapore Hackathon 2018” which aims to harness innovation potential of the youth from the two nations.